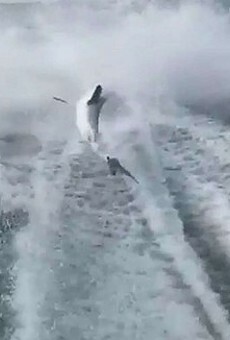 Authorities with the Florida Fish and Wildlife Conservation Commission have filed charges against the vacationing dumbass who filmed himself jumping on a pelican in Key West, only to be immediately bitten in the face. On Wednesday, the FWC brought charges against Maryland resident Hunter Hardesty for "conservation violations regarding brown pelicans committed on or about March 3 in Key West," reports WFTX. 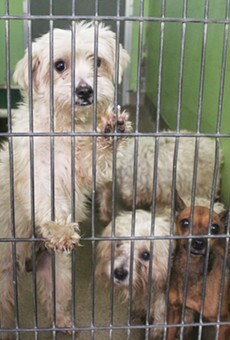 The FWC is also working with Maryland authorities to secure his arrest. 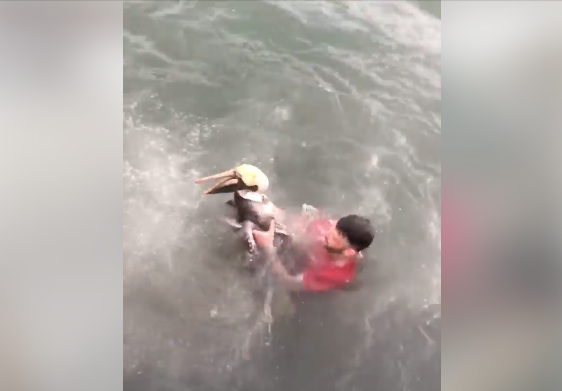 For those of you just catching up with this story, Hardesty uploaded a video to Facebook earlier this month showing him luring the pelican from a pier with what looks like a fish and then jumping on top of the bird while onlookers laugh. 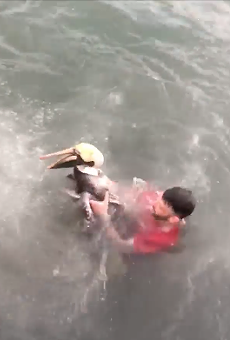 While the video is without a doubt disturbing, the only good thing about it is the pelican pecking the man’s face before flapping away.